Today, Pitch Perfect actress Hailee Steinfeld joined BUILD in London, revealing a fourth Pitch Perfect movie could still be on the cards, how it felt being nominated for an Oscar award at the age of fourteen, and why she still gets star struck. Asked whether Pitch Perfect 3 will be the final film – Is there a question mark over a fourth movie? On being nominated for an Oscar at the age of fourteen for True Grit. Does it effect the goals you set yourself? Does Hailee Steinfeld ever get star struck, and with who? 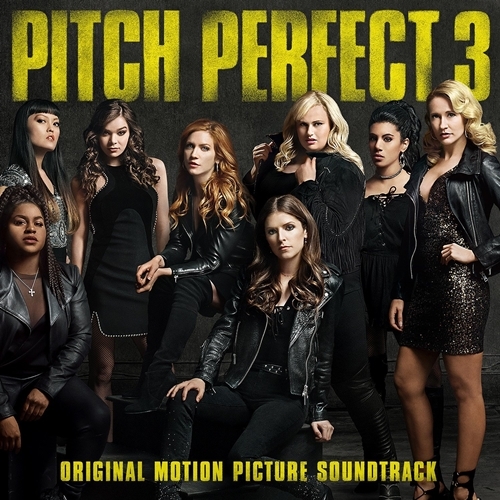 The full details of the soundtrack album for the musical comedy sequel Pitch Perfect 3 have been revealed. The album features the songs from the movie performed the film’s cast, as well as Bomba Estereo’s Soy Yo, Iggy Azalea’s & Zedd’s Boom Boom and Kim Viera’s Tribe. Also included is a suite from the film’s original score composed by Christopher Lennertz (Horrible Bosses, Ride Along, Agent Carter, Baywatch). The soundtrack will be released digitally and physically on December 15 by Universal Music. Visit Amazon to pre-order the CD and vinyl version. Pitch Perfect 3 is directed by Trish Sie and stars Anna Kendrick, Rebel Wilson, Hailee Steinfeld, Brittany Snow, Anna Camp, Hana Mae Lee, Alexis Knapp, Ester Dean, Chrissie Fit, Kelley Jakle, Shelley Regner, Ruby Rose, John Michael Higgins, John Lithgow and Elizabeth Banks. The sequel will be released in theaters nationwide on December 22, 2017 by Universal Pictures. Visit the official movie website for updates.